For those of you in Los Angeles, I hope you’ve somehow managed to suffer through the recent heat wave and come out unscathed. While I was off camping with no air conditioning in 107 degree weather, maybe you were somewhere cooler enjoying a nice sandwich and a cold lemonade or craft beer. Speaking of lemonade, I just so happened to have one with this week’s sandwich. 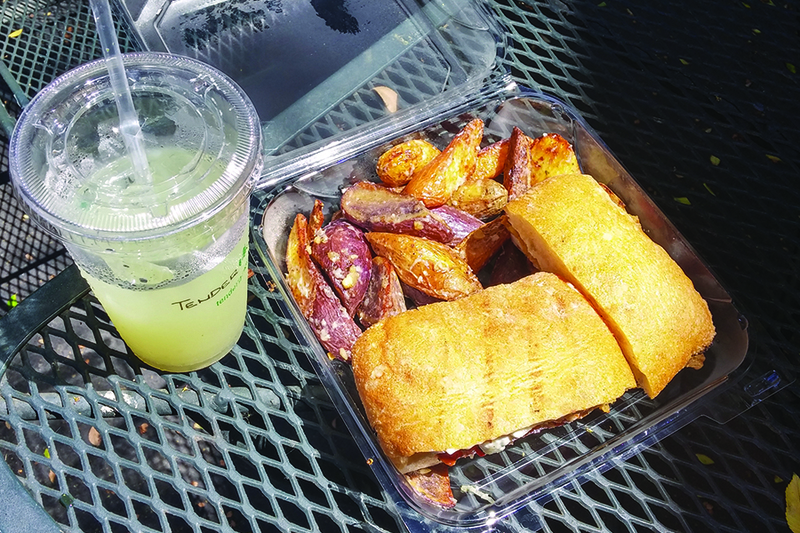 Working in the middle of Studio City means that there are tons of places to eat on your lunch break, even if there aren’t a few food trucks parked outside of the studio you work at. What usually happens to me on a 30 minute lunch break is that I end up going to the same place, over and over, getting the same thing, over and over. This past week I started cruising around the internet looking for new local places within walking distance of the office to replace my usual Trader Joe’s wraps (something I should do a full post on sometime as they are delicious). This time I went to a fairly new installment on Ventura Blvd. : Tender Greens. I’ve heard about this place from a number of people about their amazing salads. But I’ve also heard about their small, but delicious selection of sandwiches. Waiting in line, I went back and forth between the Salt and Pepper Chicken Sandwich and the Buttermilk Fried Chicken Sandwich. Because it had been quite awhile since I had a fried chicken sandwich (and if you didn’t know I’m a huge fan of Popeye’s) I decided to go with that one. 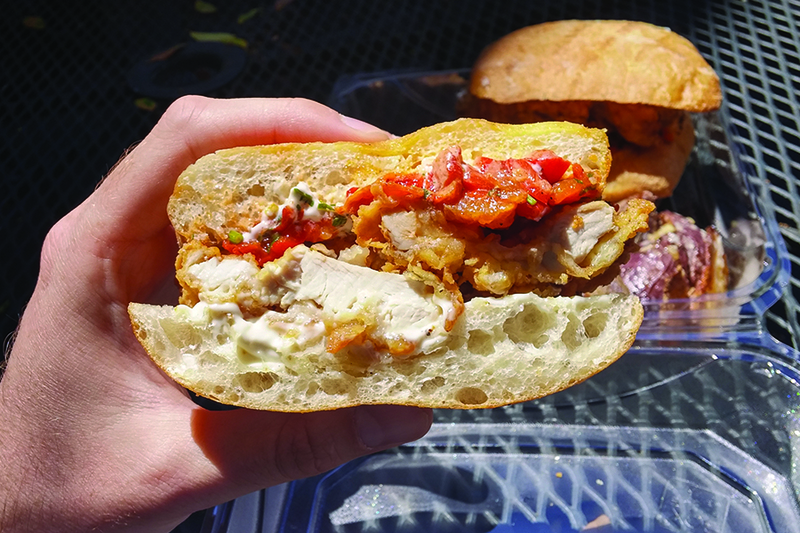 White and dark meat chicken, deep-fried and seasoned with rosemary and thyme, this amazing centerpiece is topped with roasted red peppers and aioli. The chicken was incredible, a little bit of crunch surrounding deeply tender and moist chicken on the inside. The crust of the chicken added an incredible crunch without bringing too much of a greasy/fried flavor which was deeply appreciated. The aioli added a delicious and savory creamy texture while the red peppers gave a bit of flavorful bite. If you want to have a delicious fried chicken sandwich, without feeling gross afterwards, Tender Greens’ offering should be high up on your list. 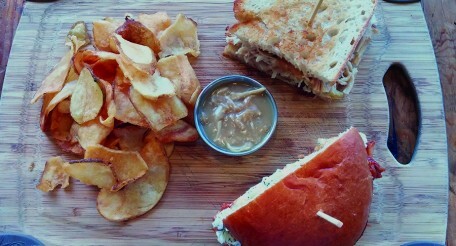 I also picked up the fingerling potatoes as a side, and would recommend not doing that with this sandwich. The combo was just a bit too much for a light lunch. As a side note, if I haven’t mentioned it before, I will now: I am a huge fan of hot sauces. 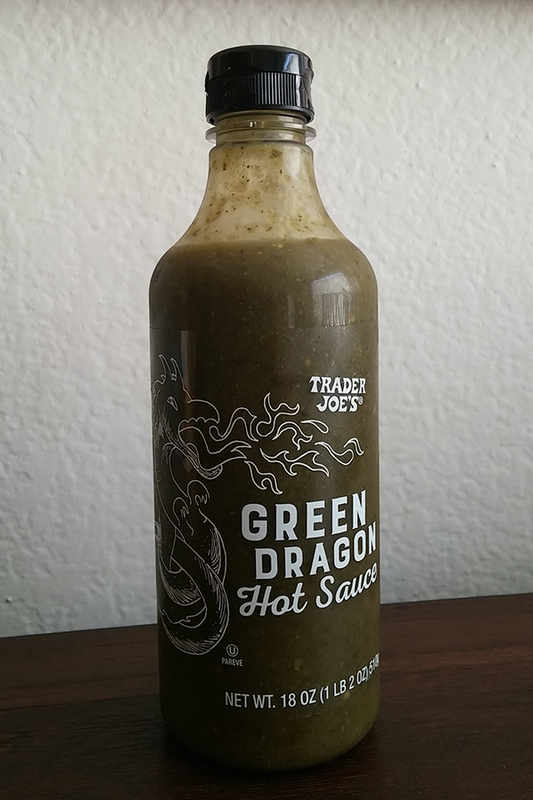 While recently shopping at Trader Joe’s, I can across their new green hot sauce called Green Dragon. It is amazing and really can be used to top anything you want (Maybe not cereal…or yogurt). It is a concoction of jalapenos, tomatillos and garlic, a bit of heat but not too much to scare people off. I’m going to find a great sandwich to pair this up with in the next few weeks, but in the meantime I’m going to highly suggest you check it out. And there’s my unpaid advertisement for the week. I hadn’t heard about that hot sauce but I’m going to make sure I pick it up today. Three Years For A Sandwich?